Wagamamas combines fresh and nutritious food in an elegant yet simple setting with helpful, friendly service and value for money. Serving Asian food inspired by the flavours of Japan. 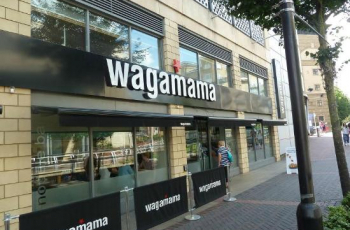 Inspired by fast-paced, Japanese Ramen bars and a celebration of Asian food, wagamama burst into life. They set out to create a unique way of eating, bringing the fresh, nourishing, flavours of Asia to all. A great Reading location along the Riverside. But, if you don't fancy dining in, they do offer a takeaway service to enjoy the flavours in the comfort of your own home.